And when you least expected (or maybe not), the winter is almost over, and the season of happiness and sunshine doesn’t seem so distant after all. Well, what best to celebrate the spring and the summer then with good music? To help raising up the expectations for the arrival of the sunshine and the more-human-friendly temperatures, all the great festivals already announced their line-up in France. They all look great. The list below is organized chronologically, for those who are gonna be lucky enough to be in the birth country of Serge Gainsbourg by the time of this festivals. I had already mentioned this festival here in the blog, but there wasn’t so many artists confirmed to the festival yet. The list of names is pretty big and it won’t fit in a print screen, but you can access the website and download the PDF with the complete program. The Printemps happens in the charming city of Bourges between April 24 and 29. 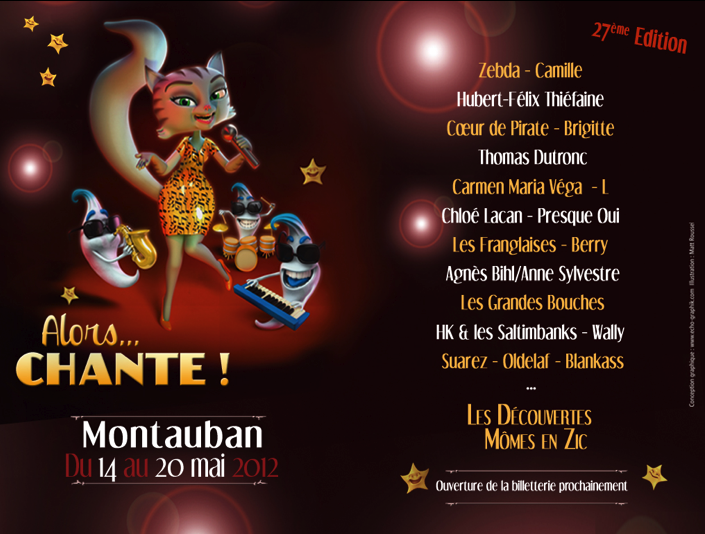 This amazing festival happens every years in the city of Montauban. The 2012 edition will be held between May 14 and 20 and the tickets are not available for sale yet. The traditional Francofolies are already part of the schedule in Paris. Last year, I bought the tickets but couldn’t go, but I’m hoping this year I won’t miss my chance, and if I’d have to choose, I’d buy tickets for the first day. 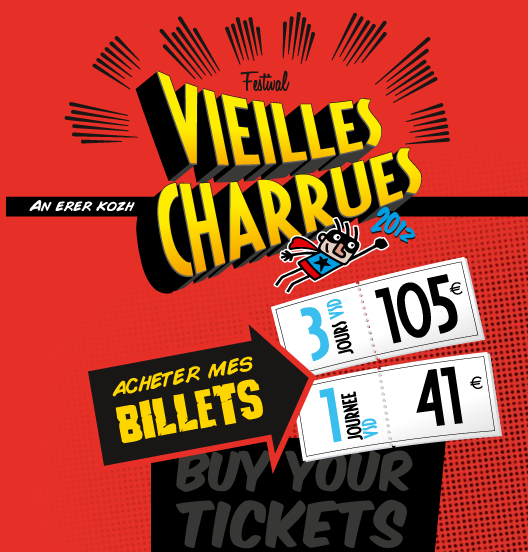 Located in the city of Caihaix-Plouguer, the 20th edition of the festival Les vieilles charrues is scheduled to happen between July 19 and 22. The dates are really close to the Francofolies, and the cities where the two Festivals take place are separated by a little over 500km. 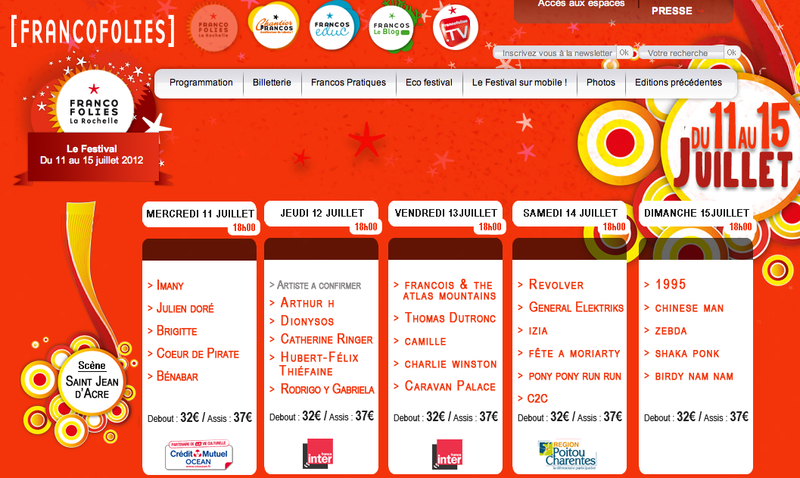 In that case, for those who aren’t made of money, I’d choose to go to the Francofolies. But if you want to run away from the mess that Paris can be and still listen to great music, this festival is made for you. Check out the program here.